The Weight Watchers program began in the early 1960's when a group of friends came together once a week to discuss how to lose weight. Since then, the program has evolved into a worldwide weight loss plan with an estimated one million members. The camaraderie of the program helps hold people accountable, helping improve the odds of successful weight loss. No wonder the Weight Watchers plan is the most popular weight loss program out there. It's even rated the 2013 Best Diet by U.S. News and World Report. Weight Watchers promotes making healthy diet and fitness lifestyle changes. The plan offers information and motivation to help members reach their individual weight goals. Weight Watchers is unique in that every employee of the program has followed the plan and met their desired weight, giving them the tools and knowledge to help others do the same. A main point made throughout the years is that no food is off-limits. Moderation is a major key to success with the plan. Hence, the program offers strategies to curb food cravings, fulfill hunger and still lose weight. By allowing you to enjoy your favorite foods, Weight Watchers ensures success because you don't have to give up the foods you love the most. The Simple Start aspect of the Weight Watchers plan makes it easy to get started. This phase of the program lasts for two weeks and introduces meal planning and food choices in a way that provides immediate success. You can join the program online or attend local meetings. Either way, you'll be hooked up with others trying to lose weight, giving you a support system you can lean on as you get started on your weight loss journey. The Simple Start phase is accompanied by a smartphone app that you can use to earn badges, get restaurant eating tips and read messages from others. For the two weeks you're on the Simple Start plan, you'll choose meals from a pre-planned list or you can mix and match from the lists of approved foods to create your own weight loss meals. Add "free" beverages, such as unsweetened coffee and tea. Then you can factor in your indulgences for a well-rounded menu that lets you enjoy eating, while also controlling your calorie intake. You must sign up for full access to everything Weight Watchers has to offer, whether you participate at live meetings or prefer the online program. The basic tenet of the Weight Watchers program involves point values for foods. These are calculated based on nutritional value and calorie content. Foods that are high in nutrients and low in calories are typically lower in points than those that are full of calories and lacking in vitamins and minerals. At the outset of the program, you're assigned a daily point allotment. It's up to you to decide how you'll spend those points each day. So if you choose a fast food meal, you may spend all your points on one meal, leaving you without any for the rest of the day. It's important to balance your favorites with healthy choices so you don't go over your points each day and you control your calorie intake for effective weight loss. The following factors play a role in the number of points you get in a day. The Points Plus plan assigns a point value to more than 40,000 foods and also offers recipes, each with an accompanying point value. This helps take the guesswork out of cooking at home and lets you prepare meals you love instead of having to purchase pre-made items that you might not like. Although meeting leaders do not necessarily have a background in nutrition, they have significant experience with the plan since they've followed it themselves. The leader is responsible for conducting a presentation based on a meeting guideline for the week, encouraging group discussion, answering questions and providing support. A confidential weigh-in is conducted with the leader or a receptionist. A member is not required to weigh-in each week. However, the weekly fee is still due and program material, if applicable, is given to the member. There is a registration fee to join the program, though there are often specials that allow you to join free and only pay the weekly fees. Weekly fees vary depending on the area in which you live. Meeting locations, times and fees can be found on the Weight Watchers website or by calling 1-800-651-6000. Members pay as they go. Anyone can attend one meeting free of charge and will receive a pamphlet describing the plan. The newcomer will be charged the registration fee if he or she decides to join and the start-up material will be given. For all new members, there is an introductory session after the general meeting. During this overview, members are instructed on the basics of the program and how to begin their first week. Joining Weight Watchers online can still be an effective way to lose weight, but may be more convenient if you have a busy life. The online program offers recipes, tips and advice that you can access anywhere on your smartphone or laptop. The digital tools allow you to track your food intake, activity and weekly weight. Group support, individual attention and overall inspiration are the driving forces behind Weight Watchers. Keeping track of food intake on a daily basis is strongly encouraged and proves to be a successful tool for people who have lost weight on the plan. In addition, there are many foods with low points that replace high-calorie, high-fat foods in order to maintain the allowable points or calories for weight loss. Another powerful reason why the program works is because you're never deprived. If you enjoy a slice of cake at a birthday party, the plan basically says, "more power to you," provided you balance the cake with your other food choices for the day. Knowing you can have treats helps prevent binges and lets you enjoy your weight loss journey. 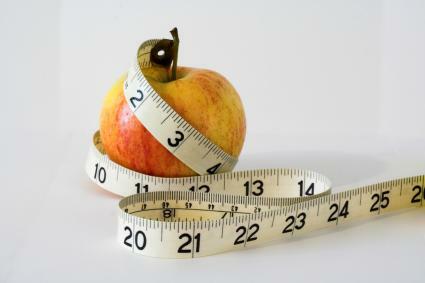 Members are urged to consult with their physician before beginning any diet. Also, the plan is designed for a two pound or less weight loss each week. If rapid weight loss occurs, members must review the guidelines and make necessary changes to achieve a safe rate of weight loss. The program does not accept any person under the age of ten. Individuals 17 or younger need written medical permission to join. Furthermore, teens and nursing mothers follow a specific plan to meet particular nutritional requirements. Participation is also prohibited to any person with bulimia, a current weight of less than five pounds above minimum weight according to Weight Watchers ranges and pregnant women. The plan also differs for men and women. Since real food is the mainstay of the program, along with behavior modification techniques to change eating habits, there are virtually no health risks involved. Exercise is also encouraged as a means to burn calories, assisting in weight loss. Weight Watchers offers plenty of exercise options, tips and routines that you can add to your new healthy lifestyle. It's always a good idea to compare and contrast diet plans to find the one that works best for your specific health needs and goals. Weight Watchers is ideal if you don't want to spend time counting calories and want to lose two pounds per week. The diet focuses on eating a healthy and well-balanced diet, which differs from other diets that restrict intake of certain food groups. That means Weight Watchers doesn't pose the risk of nutritional deficiencies like very restrictive diets might. In addition, Weight Watchers conforms to the Dietary Guidelines for Americans when it comes to protein, salt, protein, carbs, fiber and many other essential nutrients, notes U.S. News and World Report. This is important because this guards your overall health while you lose weight. Instead of cutting out entire food groups, Weight Watchers focuses on a healthy mix of all foods. A study conducted by the UK Medical Research Council found that people who join a club-like weight loss program, such as Weight Watchers, are able to lose twice the weight of people on other diets. That's likely due to the support received at meetings and on online forums. Weight Watchers products to help with meal planning, portions and balanced eating are sold in stores, clearly indicated with the item's points value. Other products offered include cookbooks, motivational books, measuring utensils, food scales, pedometers, journals and the Weight Watchers magazine. All this translates to successful weight loss without having to skip favorite foods and feel deprived during the journey.